Most everyone has a leadership influence on at least one person. A parent with a child, a youth with a younger sibling, a person who is looked up to by a peer, and these are just a few examples. 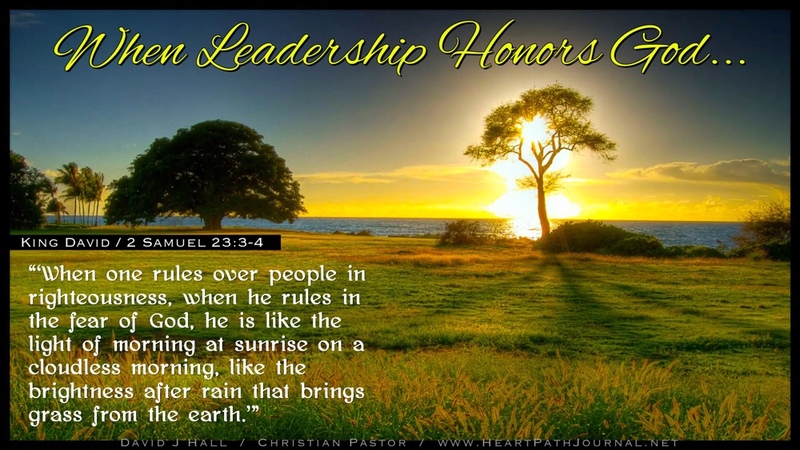 On the larger scale of leadership influence are church, business, and government leaders. In whatever our roles might be, let’s lead and influence others in such a way that they are refreshed when they are touched by our influence.